Daily Fantasy Football contests are a new, exciting way to put your fantasy football knowledge and 4for4.com DFS Subscription to good use. While the majority of traditional fantasy leagues draft in August and run through the season, Daily Fantasy Football contests are generally one-week games that give us the opportunity to play in more leagues, use more players, and win more often (and more money). Best of all, 4for4 offers site-specific value reports designed to help you quickly identify good player values to maximize winning and profitability. These value reports are derived from the most accurate weekly projections in the industry over the last six years. The value reports feed into our revolutionary Lineup Generator, so you can create 100s of lineups optimized for the contest of your choosing. Daily Fantasy Football is quickly becoming the preferred way to play fantasy football. You can play in more games and win more money while the work, variance and headaches are greatly minimized. 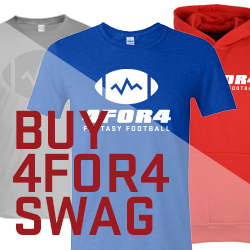 Here at 4for4, we have partnered with the most respected Daily Fantasy sites in the industry. We play at and recommend all of the Daily Fantasy sites below. The sales pitches are theirs, but click the review links for our in-depth breakdowns of each site. Join us in the rapidly growing -- and extremely fun -- Daily Fantasy Sports community. It's just getting started. DraftKings burst onto the scene in April 2012 and has quickly established itself as a force in the daily fantasy community. In the past year it has widened it's user base with the acquisitions of both DraftStreet and StarStreet. Users go to DraftKings for the seamless user experience, the ability to play not just football, baseball, basketball, and hockey, but also soccer, golf, Canadian football, and NASCAR. DraftKings also boasts the industry's most enormous payouts. Huge Guaranteed Contests: If you want big contests, look no further. DraftKings runs a Millionaire Maker contests weekly during the NFL season, where the grand prize winner takes home at least $1 million, and often more. FanDuel lets you play and win at fantasy sports in a single day instead of waiting the whole season. Players can draft a new team at any time, and pitch it head-to-head against a single opponent - or a league of opponents - for real money. The player whose team has the most fantasy points after the games have completed wins the cash prize. We currently have daily contests in fantasy football, fantasy baseball, fantasy basketball, and fantasy hockey. As always, FanDuel offers the FanDuel NFL Sunday Million, which has millions of dollars guaranteed in prizes. Yahoo! is a daily fantasy sports site known for it's extremely large user base due to offering traditional fantasy sports contests for moe than a decade. Yahoo! is a new player in the DFS industry, but is growing quickly and has already established itself as the No. 3 player in the industry. Yahoo! offers a large variety of contests and guaranteed prize pools for NFL, MLB, NBA, and NHL. Yahoo! is committed to fair play and limit the number of entries per user in any contest to 10, or for a small contest, no more than 1% of total entries. It labels experienced users “veterans” and bans the use of scripting software to manage multiple contest entries. 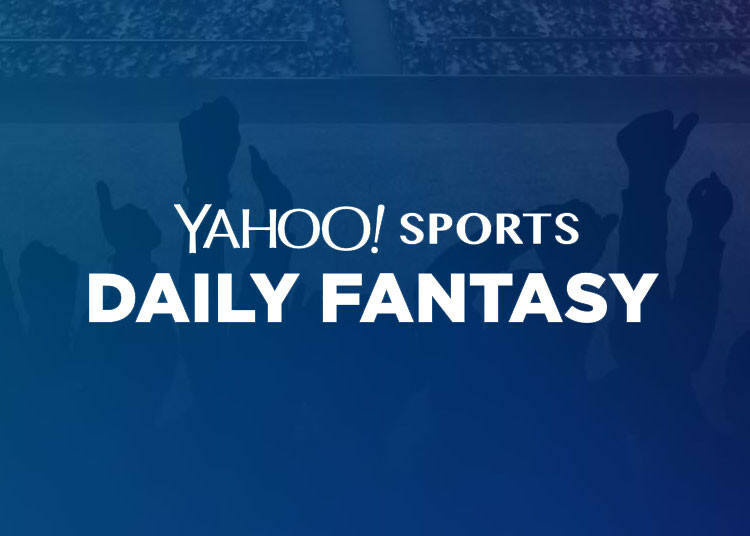 PLAN TO PLAY DAILY FANTASY SPORTS IN 2016? Ensure you're a profitable player by SUBSCRIBING NOW to 4for4's DFS SUBSCRIPTION!